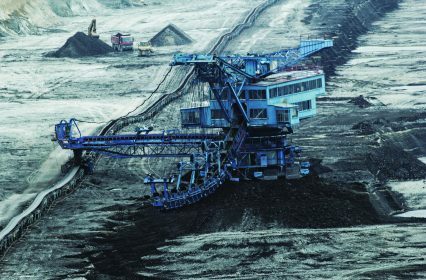 The participants to the OECD’s Arrangement on Officially Supported Export Credits have finalised new rules on government support for coal-fired power plants, including restrictions on official export credits for the least efficient coal-fired power plants. Taking effect from January 1, 2017, the new rules distinguish between large (>500MW), medium (≥300 to 500MW), and small (<300MW) plants; plants’ technology types (ultra-super critical; super-critical; and sub-critical); and the development level of the country hosting them. The agreement removes support for large super and sub-critical coal-fired power plants. Smaller sub-critical plants in poorer, developing countries can instead be supported, as well as medium-sized super-critical plants in countries facing energy poverty challenges. The new agreement encourages both exporters and buyers of coal-fired power plants to move from low-efficiency towards high-efficiency technologies. Plants equipped with operational carbon capture and storage, as provided under the existing climate sector understanding, are exempted from the restrictions. These new rules will substantially limit official export credit support for new coal-fired power plants, and mark a major contribution to international efforts to combat climate change. David Drysdale, OECD. The rules are subject to a mandatory review starting in 2019, and further revisions based on scientific developments are also allowed. “After two years of intense negotiations, the agreement represents a first important step towards aligning export credit policies with climate change objectives to achieve lower emissions,” says Pekka Karkovirta, vice-president for international relations at Finland’s export credit agency Finnvera and chairman of the participants to the arrangement. Countries involved in the agreement are Australia, Canada, the European Union, Korea, Japan, New Zealand, Norway, the United States and Switzerland. The agreement is subject to the completion of the European Union internal decision making process. Non-governmental export credit providers are also encouraged to consider this new agreement as a reference in their export credit policies. Some banks have already reviewed their support to coal project, setting targets for the next five years. Société Générale, for example, has pledged to double financing for renewable energy projects by 2020 and reduce its activities in the coal sector, including the ending of project financing for the development of coal mines and coal-fired power plants in high-income OECD countries.